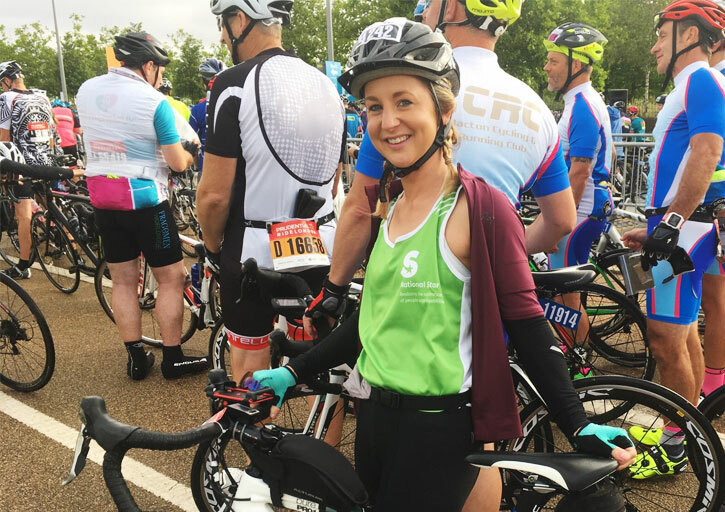 A primary school teacher got on her bike to say thanks to National Star for supporting her cousin during the charity’s 50th anniversary year. Jon Veal, from Leckhampton, was on his way to work in Cirencester when he was involved in a car accident that changed his world. He was 19 years old. The accident left Jon with a brain injury which meant that he couldn’t support his body, hold his head up or even swallow. Eight years on, Lynne Barry took part in Ride London, a 100-mile cycle ride, to raise money for National Star. ‘At National Star Jon learnt to focus his energy on achieving what was possible. Jon has learned how to communicate with noises and gestures, enabling him to express how he feels and make his own decisions and has regained some speech,’ said Lynne. Lynne, who cycles about 3.5 miles every day to work, said the ride was challenging. Lynne raised over £1,600 in sponsorship.